Tim Dean. Chairman. Email. Phone. Jason Hardwicke. Operations Director. Email. Phone. Simon Lewin. Rental Operations Manager. Email. Phone. Nick Hodges. Business Development Manager. Email. Phone. Louise Dean. Marketing Director. Email. Phone. Neil Beard. Engineering Director. Email. Phone. Keith Evans. UK Sales Manager. Email. Phone. Neil Bourne. Regional Manager London & South East. Email. Phone. James Holliday. Regional Manager. North East. Email. Phone. David Ross. Regional Manager. Scotland. Email. Phone. Miles Griffiths. Regional Manager. South West. Email. Phone. 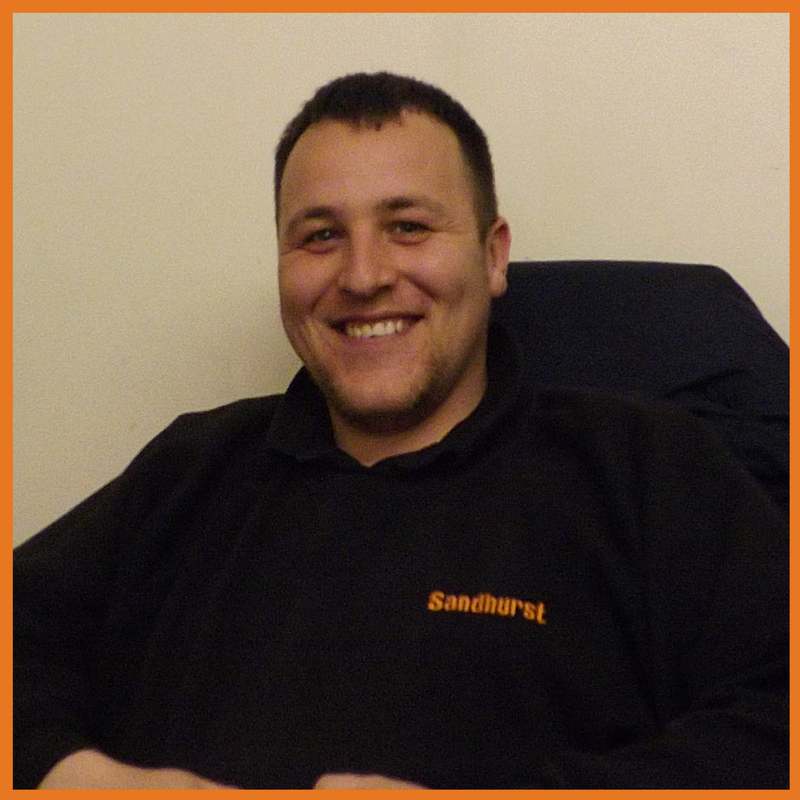 Laurence Cains, Rental Centre Supervisor, London & South East. Email. Phone. Kitti Hahn. Hire desk controller. South West. Email Phone. Jake Cunningham. Hire Desk Controller. North East. Email. Phone. Matt Baker. Hire desk controller. Midlands. Email. Phone. Jack Newton. Hire Desk Controller. North East. Email. Phone. Lee Sefton. Hire Desk Controller. Midlands. Email. Phone. Joseph Goulding. Hire Desk Controller. Midlands. Email. Phone. We hire talented, bright people who can learn from us and grow with us. If you would like to work for Sandhurst, get in touch and tell us more about yourself. Would you like to work for the experts in attachments? If so, here's your opportunity. Apply by email to Neil Bourne or fill in the form below. To carry out servicing and routine maintenance checks, ensuring that all products are safe, clean and good working order. Deliver/collect products within a given timeframe as well as attending breakdowns as and when they arise. A clean 7.5 ton license is required. Carrying out PDI checks on all equipment prior to hire. Carrying out routine service and maintenance of all items of rental stock including seasonal preventative maintenance. Working to priority lists as specified by line manager. Ensuring work areas are in a clean and safe state at all times. Adhering to all the company’s safety guidelines including wearing of personal protective equipment and company workwear. Maintaining a driving licence that allows the individual to legally drive in the UK. Daily use of a tachograph (where applicable). Carry out daily vehicle checks. Carry out daily forklift checks. Ensuring load checks are completed prior to delivery/ collection of equipment. To ensure signatures and damages are captured on all legally binding documentation. Communicate effectively with centre staff should delays occur on site or general traffic hold ups. Pass new leads to operational staff after site visits or after noticing potential Business Opportunities during the course of normal driving duties. Attend training courses as and when required to help develop product knowledge. Carrying out other duties and tasks as and when required. Complying with HSEQ to safeguard the interests of the business, our people and customers. Represent 'the experts' as a first point of contact with customers by ensuring professional and personal behaviour and presentation are maintained to the very highest standards.